Ballet Russes was the Russian emigre ballet company that toured outside Russia from 1909 to 1929 under the direction of Russian impresario Sergey Diaghilev, who gathered the foremost chreographers, dancers, and designers of his time. 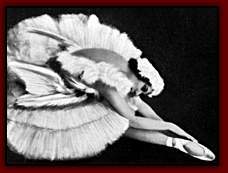 He featured such dancers as Anna Pavlova, George Balanchine, and Vaslav Nijinsky. Many of the companys works broke with classical tradition. For example Nijinskys The Rite of Spring (1912), caused riots at its 1913 premiere in Paris. The Russian Revolution of 1917 caused Diaghilev to sever his links with Russia; in 1922 the company established a base in Monte-Carlo, Monaco. After Diaghilevs death in 1929, Ballet Russes disbanded; however its former members enriched ballet schools throughout the world.